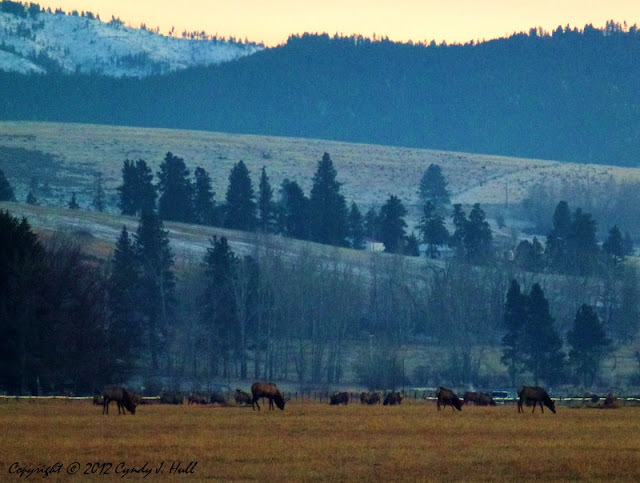 Even after receiving a heads up about an elk herd at Grantsdale Cutoff, I turned the corner & said out loud - to myself - , “Whoa! They’re right there!”. And apparently are unconcerned about the frequent traffic on Skalkaho Road, which borders both sides of the pasture. We figured the landowner got tired of repairing fence, seeing as how the gate was left wide open.